There is an abundance of Internet forums that tout silica's positive effects on hair and nail growth. However, not many people understand what silica is, why you need it and where to get it. While supplements can provide your body with far more silica than it's likely to get from food consumption alone, it's wise to take the lofty claims on supplement bottles with a metaphorical grain of salt. According to the Mineral Information Institute, or MMI, silica is the chemical name for quartz, also referred to as silicon dioxide. It's used as a filler for pharmaceuticals, an anti-coagulant in food production as well as in the manufacture of ceramics and cast iron. It's found in obsidian, granite and sandstone; after processing, silica becomes either silicon or ferrosilicon. 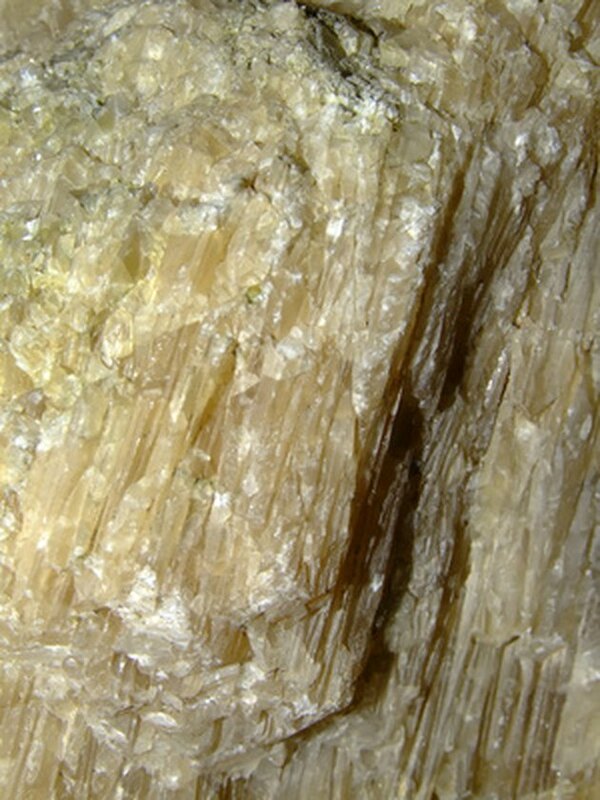 The MMI also notes that silica is naturally present in human bones, skin and teeth. According to Dr. Theresa Dale in "Revitalize Your Hormones," silica acts as a stabilizing force in the body. It restores the necessary balance between calcium and magnesium, without which you'd experience hormonal problems. It stabilizes a number of structures, including bodily tissues, membranes and arterial walls. Your body also needs silica to help form collagen, the protein responsible for keeping your skin smooth and unlined. Perhaps most important, it facilitates your body's absorption of calcium, contributing to strong, healthy bones. According to Dale, silica works together with sulfur to give your skin and nails a youthful, healthy appearance. In terms of internal benefits, Dale writes that silica can boost your immune system and help keep your artery walls flexible, potentially preventing heart disease. In "Every Woman's Guide to Beautiful Hair at Any Age," author Lisa Akbari notes that silica can also help keep your hair from falling out. Akbari recommends a daily dose of 55 mcg of silica. You can get this amount from dietary sources as well as supplements. In "Advanced Nutrition and Human Metabolism," Sareen Gropper, Jack Smith and James Groff note that water, whole grains and root vegetables are sources of dietary silica. The authors estimate that most adults currently ingest between 14 and 62 mcg per day. If you wish to take a supplement, Dale notes that most silica supplements contain horsetail, an herb rich in silica. The FDA does not review a supplement's marketing claims before it hits the market. According to FDA.gov, it's the manufacturer's responsibility to make sure the product is safe and the label is accurate, with no misleading claims. The FDA can step in if consumers complain, but until that happens, manufacturers don't have to prove that the ingredients listed are actually in the bottle, nor do they have to prove their marketing claims are true. Can Silica Help With Thinning Hair?